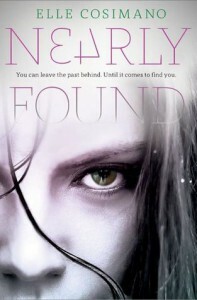 Nearly Found is even better than the debut novel by Elle Cosimano. Cosimano uses the same style in this sequel to make the reader never want to put the book down. If you thought, "hmmm, where could the story line go from here?' at the end of the first book, you obviously didn't think much about the surrounding characters...hint hint. Nearly tries hard to make amends with Anh and Jeremy, while trying to keep Reece within an arms reach. She gets into a bit of a pickle, with the same notes from before. But how could that be since TJ is in jail? Don't worry, it all comes together in the end and you'll be asking when a third book will be published. Riveting and full of surprises! I honestly cannot wait to see if Cosimano keeps going on with Nearly's character. I know its a YA title, but seriously, aren't they the best?! BUY THE BOOKS! READ ALL THE PAGES!